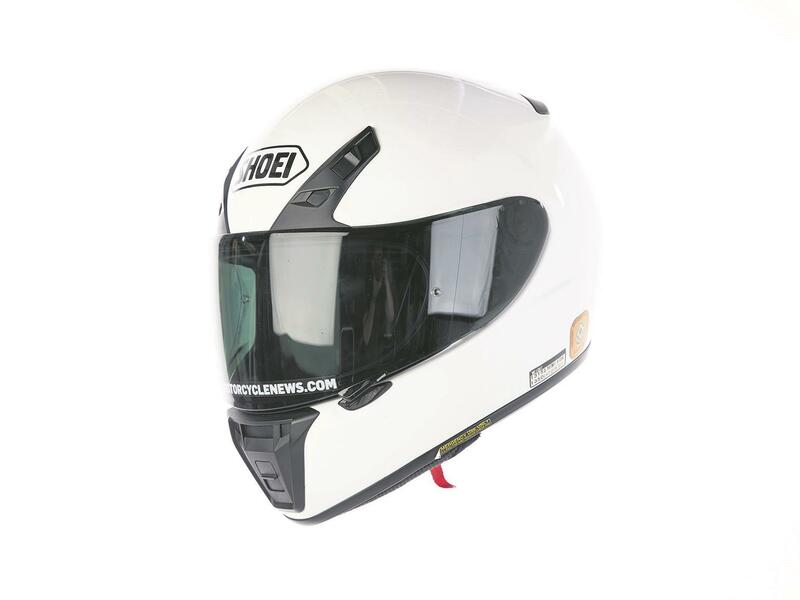 I tested this Shoei RYD helmet (RRP £349.99) for six months, covering 7500 miles. Sometimes keeping it simple is the best approach and it has worked wonders for Shoei with their RYD helmet. It’s neither all-singing nor all-dancing and lacks spoilers, a sun visor or top-shelf-tech to make you swoon. That said, what it misses in features, the helmet more than makes up for in quality. The RYD is a simple, effective lid. What pleases me most about it is that everything just works very well. The vents look good and are very simple to operate effectively and the visor (which also has a Pinlock insert) is so simple to remove and replace that I reckon I could do it with my eyes closed! The Shoei is also very comfortable and is among the quietest helmets I’ve worn. It really is fantastic and has become my go-to helmet for everyday riding and is good for doing full days in the saddle too. I’m impressed. If you don’t fancy white, it comes in a range of colours. Stacked alongside all the other helmets I’ve used, I really can’t fault it. It’s by far my favourite all-round lid and it continues to serve me well traveling from A to B.